The top small travel trailers for 2016 including famous Airstream Bambi, Coachmen Clipper but also less known Opus, Gidget Brumby, Chalet LTW, Prolite, Safari Condo Alto, TaxaOutdoors Cricket, Lance, Scamp and many more…. 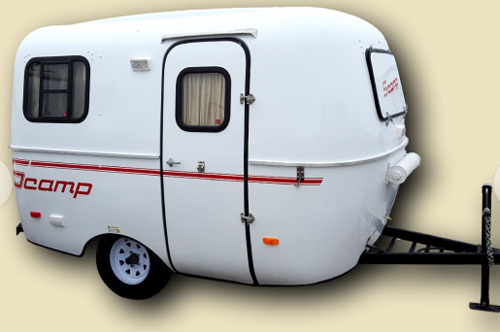 Scamp is an American family owned business designing and manufacturing small, hard-wall travel trailers. These compact, lightweight, fiberglass trailers can be towed by almost any car, they are easy to maneuver and guarantee high fuel efficiency. 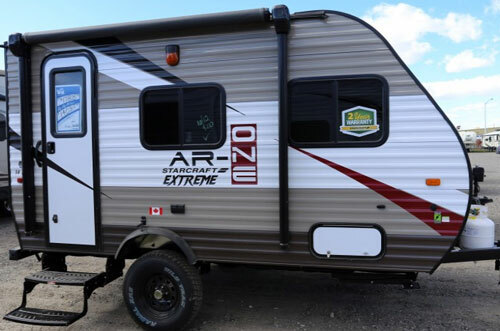 The company offers many floor-plans as well as optional items (including appliances), so each camper can be customized according to the customer’s preferences. Thanks to good thermal insulation as well as optional AC and furnace they can be used from spring till fall. 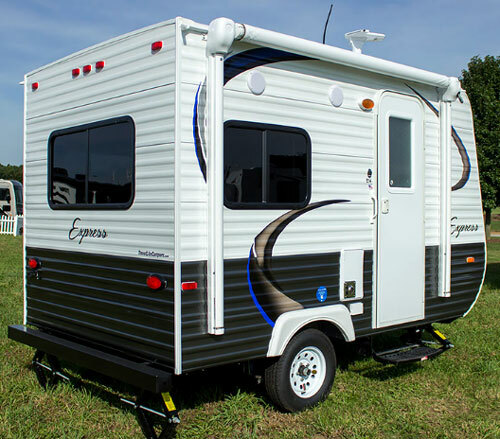 The series of Scamp Travel Trailers includes 13ft, 16ft and 19ft models – all coming with several floor-plans and versions (standard and deluxe). The smallest 13ft model was the first one introduced into production back in 1972. The 14RBC is designed to offer the comfortable vacations “away from home” for two people. The kitchen is equipped with two-burner cooktop, one-bowl sink with faucet, refrigerator, microwave oven, a counter-top with large working area and abundance of cabinetry including overhead ones. The front-end dinette makes a nice “eating-corner” which converts to large bed for night. The sofa facing the kitchen offers an extra seating space where you can relax while 6’4” interior height guarantees more than needed room for living. On the back of the trailer there is a spacious wardrobe as well as “hard-walled” (private) bathroom with shower/tub and toilet. Overhead cabinets located all around the trailer provide enough of storage room for whatever you may need on your longer trip. Looking at the floorplan we can find all-familiar “blocks” of a home-away-from-home” – kitchen, dinette converting to bed, wet-bath including toilet and shower, sofa providing comfortable seating place and a lot of cabinetry including a closet. Travel Lite (operating in New Paris, Indiana) is known for its line of Truck Campers. In 2012 the company started also manufacturing travel trailers introducing two series: lower end Express and higher end Idea. The series Express includes five models from the smallest Express E14 (exterior “box” length 10’6”) to the largest one - Express E19QBH (exterior “box” length 17’6”). The first one - travel trailer Express E14 comes in two versions- Basic and Expandable (E14X), both sharing the same layout and dimensions. The only difference is an extra flip-out bed in the model E14X offering more sleeping space and “tent-like” environment that may attract nature lovers. 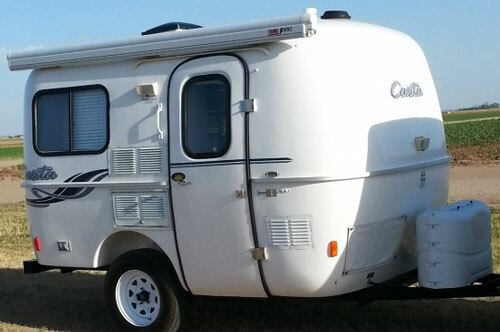 Since 1983, Casita Enterprises Inc. located in Rice, TX dedicated its resources to the design and manufacturing of fiberglass travel trailers. 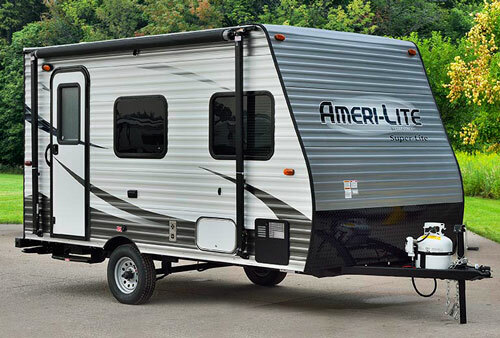 Currently they offer five models of travel trailers from the smallest one – 13ft long Patriot Deluxe, correspondingly 16ft (Standard) and 17ft long (Deluxe) versions of Spirt, Freedom and Liberty and the largest member of the family – Independence (both versions Standard and Deluxe are 17ft long). Standard versions of Casita’s travel trailers have extra sleeping space, while versions Deluxe offer wet-bath with toilet, sink and shower. 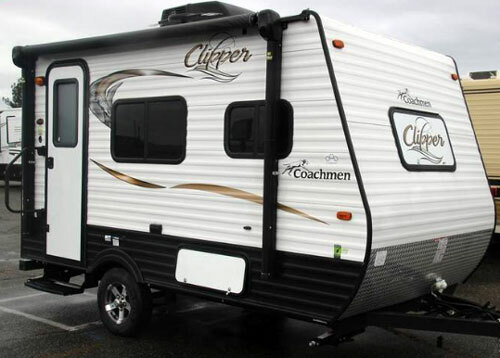 Coachmen (currently Division of the Forest River Inc.) is one of the pioneers of the RV industry. 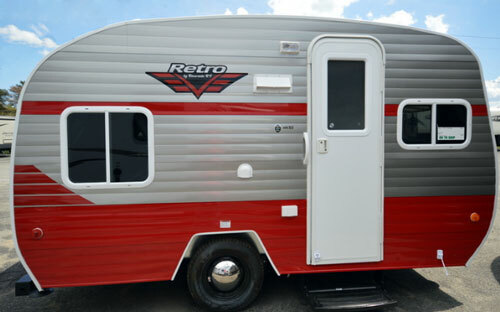 Founded in 1964 by brothers Corson, the company continues its traditions with the series of ultra-light Clipper travel trailers. The series includes models ranging from 16’8” (model 14R) to 21’4” (models17xx). Riverside’s Retro 155XL travel trailer combines modern-time amenities with nostalgic past of shapes, colors and details allowing for trip to the nature in an ambience of remote past. The 15XL with its external length of 14’9” is the smallest one from the family (the longest one – model 199FKs is 25’6” long). With the weight below 2000 lbs, the Retro 155XL can be towed by most family cars. At the same time, the large set options offers everything you would like to have when camping. The kitchen equipped with 2-burner stove, large sink w/faucet…….